So you’ve spent your valuable marketing dollars to attract more leads to your website. But not everyone who visits your site is ready to commit to you on their first visit. They need to be reminded, regularly and in different ways, of what your business can really do for them before they are ready to buy. With each additional reminder, they grow more likely to remember you — and to take action. This is the goal of remarketing, which literally means marketing again. Just one retargeting ad could increase your conversion rate by an incredible 70 percent. And according to a survey by the Interactive Advertising Bureau, 92% of marketers found retargeting to outperform search, email, and display advertising. However, remarketing is vastly underused. It may be a lack of knowledge about effective retargeting. Or it may be a side effect of today’s highly data-driven landscape in which executives expect to see a direct ROI tied to marketing spend. Remarketing can be more of an art than a science where impression after impression drives an action that isn’t always directly attributable to one channel. Regardless of the reason, retargeting might be one thing you can do right now to get incredible results. Here are our top 10 tips for crushing it with your next remarketing campaign. Retargeting Tip #1: Retarget high-value prospects. Part of successful retargeting is knowing exactly who to retarget. Some of your prospects are going to be more valuable than others, so use your existing demographic data to find out who those people are. If the majority of your sales come from men in the restaurant industry who are between 18 and 24, craft your retargeting campaign messaging for them. Retargeting Tip #2: Don’t be annoying. Set a frequency cap for your retargeting ads so you don’t run the risk of displaying the same ads over and over to the same people. In the same vein, be careful with remarketing to your existing customers. The last thing you want is to drive a loyal customer away with incessant ads across the internet. Retargeting Tip #3: Plan your campaign around user behavior. If you have a group of prospects who visited a blog post about cloud-based software for restaurants, use language and images involving that topic in your remarketing. Likewise, if a group of prospects lingered on your “Home” and “About” pages, retarget them with more general information about your brand and what you do. By segmenting your audience into groups based on their interests and behaviors, you can craft a retargeting campaign that speaks directly to their position in the buyer’s journey. Retargeting Tip #4: Watch technical tutorials. 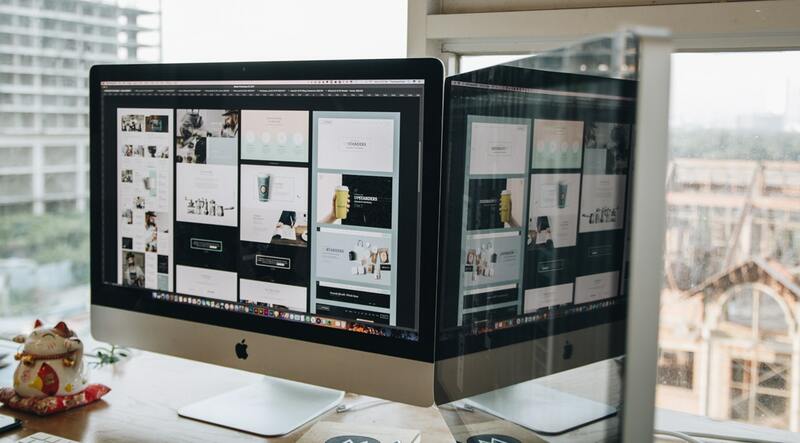 Because the technical details of retargeting vary depending on the advertising platform, it’s helpful to watch tutorials on installing pixels or other bits of tracking code required for your remarketing campaign. Here are links to tutorials for Google Ad Network remarketing (includes YouTube, Gmail, Google Display Network, Remarketing Search Listings Ads, and Google Apps), Facebook remarketing, and Amazon remarketing. Retargeting Tip #5: Use both onsite and offsite retargeting. You may think of remarketing as advertising to customers on social media and on other websites — and this is a huge part of it. But don’t neglect onsite remarketing, either. Onsite remarketing makes an irresistible offer to users who are about to leave your site, in an attempt to keep them on your site. According to MonsterInsights.com, onsite remarketing can increase conversions by 2 – 4 percent. Retargeting Tip #6: Bid wisely. Retargeting Tip #7: Don’t forget your call to action. Just like in your initial campaign, your retargeting campaign needs a strong call to action. The call to action will vary depending on how ready your target is to purchase, but do everything you can to break down walls and combat objections by making your call to action clear, easy to do, and valuable to your audience. Retargeting Tip #8: Don’t skimp on creatives. As always, hire a professional designer and copywriter to craft a compelling message. You’ll likely be restricted to a certain image size and character count, so every bit of your campaign content matters. And another side note: if you’re retargeting users across the world, it’s worth it to hire a professional translator to make sure your message retains its meaning in other languages. Retargeting Tip #9: Set up burn pixels to conserve budget. A “burn pixel” is a tracking device that stops delivering ads to a customer after they’ve taken a specific action. This can help you conserve your ad spend, but it can also help with our tip #2 (don’t be annoying) by preventing the same ads from running to converted customers. A burn pixel can also serve as a tripwire to move a customer into a new campaign. Retargeting Tip #10: Run A/B tests. The trick to effective A/B tests is to only change one element between each option. This might be the photo you use in your ad, the call to action, or the first line of copy in your text (the “hook”).